There were a few musicians on various corners at the Gaslamp Quarter Gate this Comic-Con weekend. 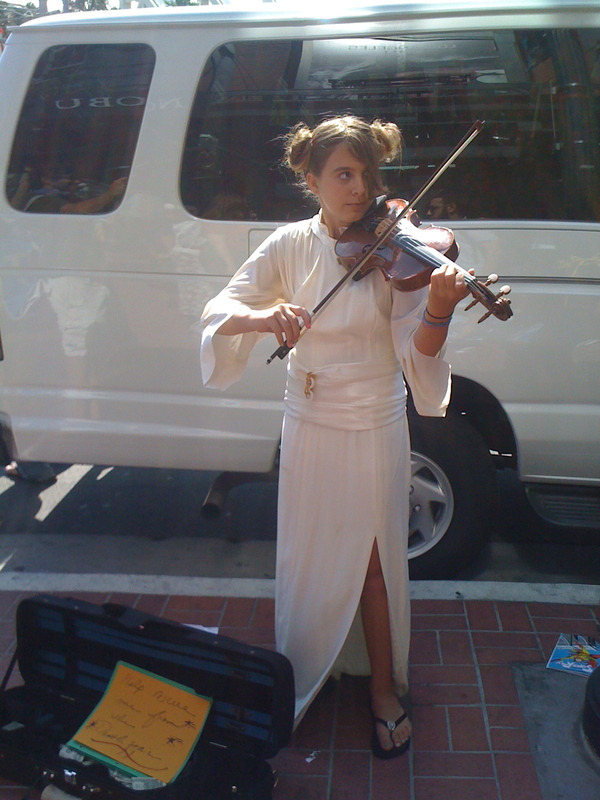 This Princess Leia violinist – brilliant concept. All good things must come to an end. Especially Comic-Con. 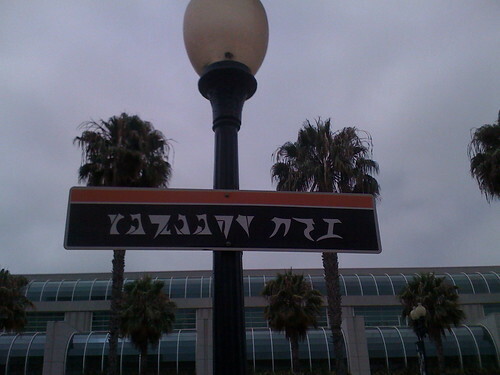 The Trolley Station near the Convention Center and the Gaslamp Quarter gate got taken over by the Klingons. Have your universal translator handy. 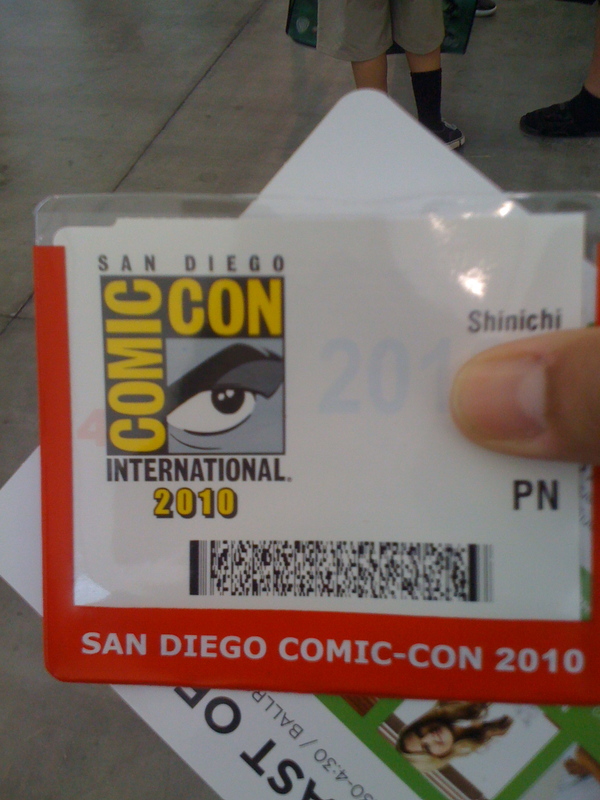 Comic-Con is all about the badge. I procured my badge Wednesday night, got to experience the Exhibit Hall, which I was soon over, and got to experience one of the longest bus rides I ever had going across downtown, all thanks to the badge. The next day, during the early hours, I lent my badge to a friend of mine and met up with him close to the Gaslamp Quarter gate at noon. The borrower’s definitely a good friend of mine and I got my badge back on time. 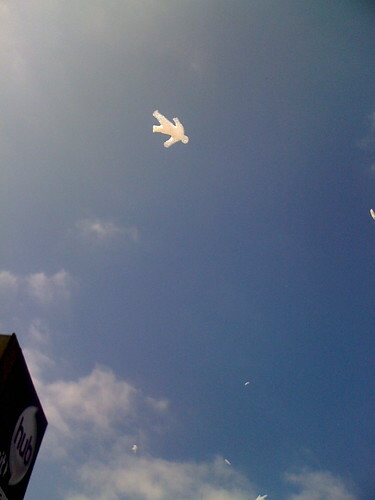 However, I don’t think I’d do it again, unless it’s Sunday (by which time I’m usually over Comic-Con and just don’t go). By then, anyone can have my badge. Hopefully someone I can trust not to go psycho in my name. This year, I decided to do Comic-Con right. I was on it when tickets went on sale. I bought the four day pass, and I got to go to Preview Night, which is a perk that only came with tickets like mine, not the one day passes or the ones that were comped. My feeling like I had access to something exclusive was short-lived, as there were lots of holders of passes good from Wednesday to Sunday, like mine. 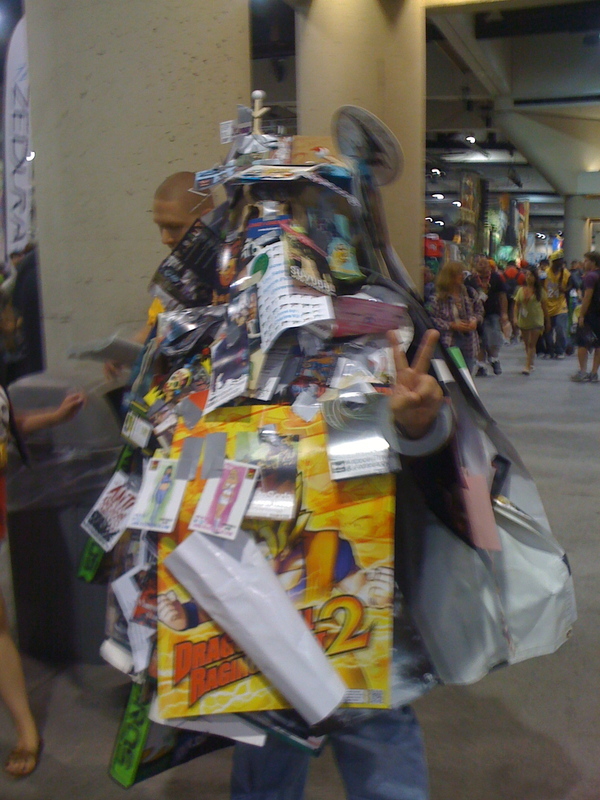 I suddenly found myself a dime a dozen and even occasionally getting pushed and shoved like I would on any other day, especially Saturday, the most busiest day of Comic-Con. The lines for some things, such as experiencing the space travel pods in the Aliens franchise were ridiculously long and the queue management was just as bizarre and confusing. I got to experience the usual oooh’s and aah’s of all the displays and exhibits coupled with sprinklings of people who just did not know how to walk in a crowd. The benefit of this Preview Night was for me to get the exhibitor’s floor out of my system so I can go to the events and enjoy them the rest of the week.